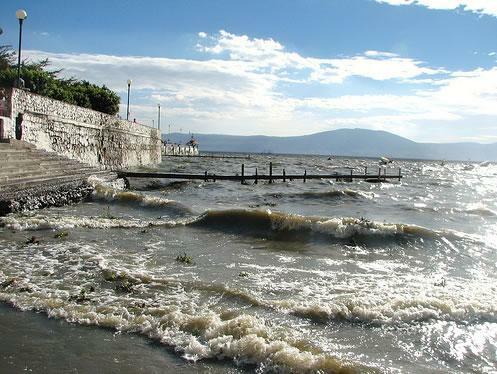 Lake Chapala is easily reached from Guadalajara. Buses leave from the Guadalajara bus terminal every hours. For drivers, the town of Jocotepec is 40 kilometers (25 miles) south on Highway 54 and 25 kilometers (16 miles) south on Highway 35. Chapala is 40 kilometers (25 miles) south on Highway 23. All year the Lake Chapala weather is delightful. There are seasons, all are mild and bring their own look and feel. 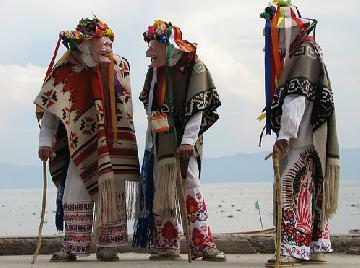 National Geographic ranked top weather for retirement in the world, Lake Chapala is at the top of the list. The first people living in Lake Chapala, came to the area in the late 11th or early 12th century from the far north, a place called Aztlan, which means whiteness. It is believed these people were part of the Asiatic migration to the Americas across the land bridge across the Bering Sea. Believed to be the ancestors of the Nahuas, some of these indigenous people were living in this area when the Spanish arrived. 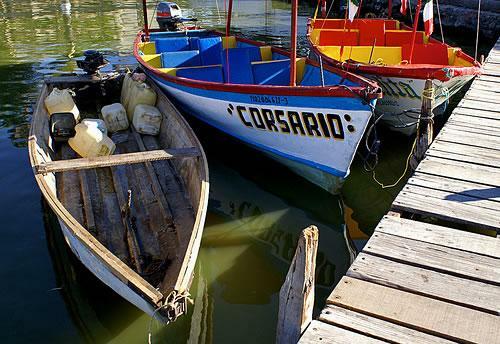 Mexico is one of the 18 countries of the world that have been defined as “megadiverse”. 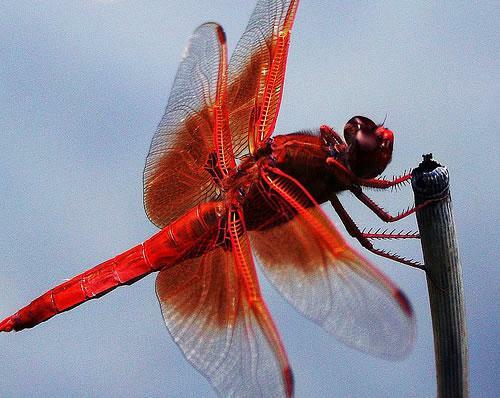 With over 200,000 different species, Mexico is home of 10–12% of the world's biodiversity. Mexico ranks first in numbers of reptiles with 707 known species, second in mammals with 438 species, fourth in amphibians with 290 species, and fourth in flora, with 26,000 different species. Mexico also ranks first in number of species of cactus. 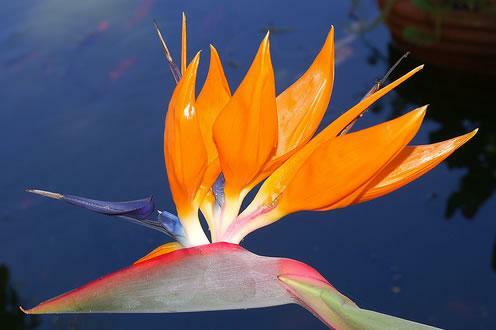 Birds of Paradise, also known as Crane flowers are one of the most beautiful Exotic Flowers. Birds of Paradise are native to South Africa and you can see them in all the shores of Lake Chapala. Birds of Paradise bloom from September through May. Retire for less, retire in Lake Chapala (and Ajijic), Mexico! 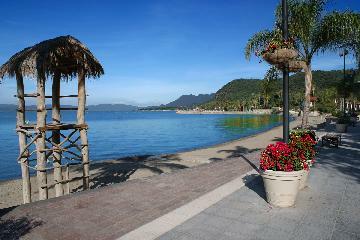 Lake Chapala is the largest lake in Mexico. 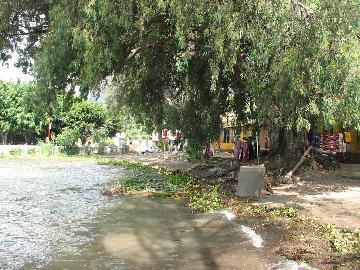 Upon arriving at almost any destination in the region, the lake is unavoidable. Due to issues in the Lerma River basin upstream and a serious dry spell, the water level dipped earlier this decade, but the lake bounced back recently thanks to two generous rainy seasons. Lake Chapala’s health has been a major focus of several community groups and their successes have benefited residents and visitors throughout the region. The large foreign population, which swells to an estimated 25,000 residents in the winter, also pitches in with charitable events. Most notably, the annual Chili Cook-off which supports local organizations, ranging from the Red Cross to scholarship funds for local youth. The story behind the old train station goes back to the beginning of the century. 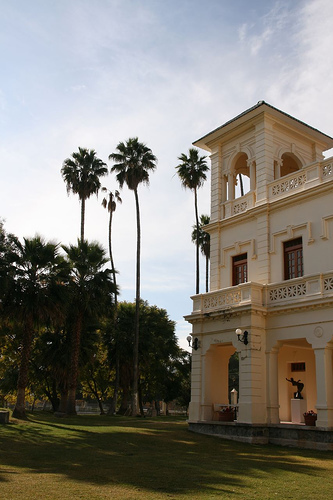 President Porfirio Diaz, who was Mexico's dictator for 35 years, often visited the Chapala area spending Easter Week, accompanied by Mexico City high society, in El Manglar (The Mango Grove), which was owned by his brother-in-law who people called "El Chato." 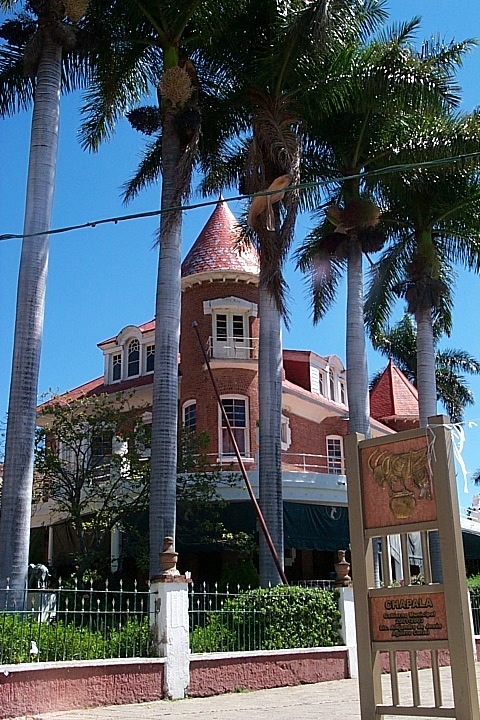 Presently the property is divided in thirds and is owned by Jorge Dipp, Jorge Salcedo, and Jose Manuel Gomez. Today many foreigners love living in the Lake Chapala area, but many don't really understand what makes the area so beautiful and interesting, or even how the lake was actually formed. It really is quite an interesting story. A seismic upheaval 12 million years ago along the San Andrés-Chapala plate formed a gigantic basin surrounded by extinct volcanoes. 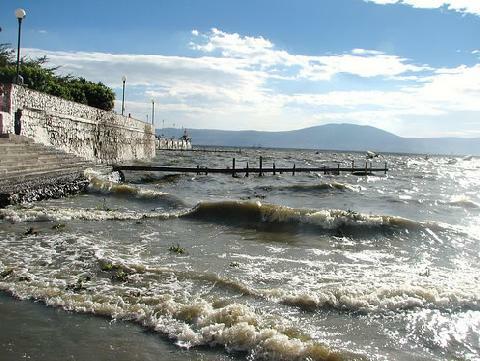 Water from the Lerma-Santiago River system filled the great fresh-water inland sea, which was seven to ten times the current size of Lake Chapala. The great lake covered much of Jalisco and Michoacán, totally submerging the area now occupied by Guadalajara. 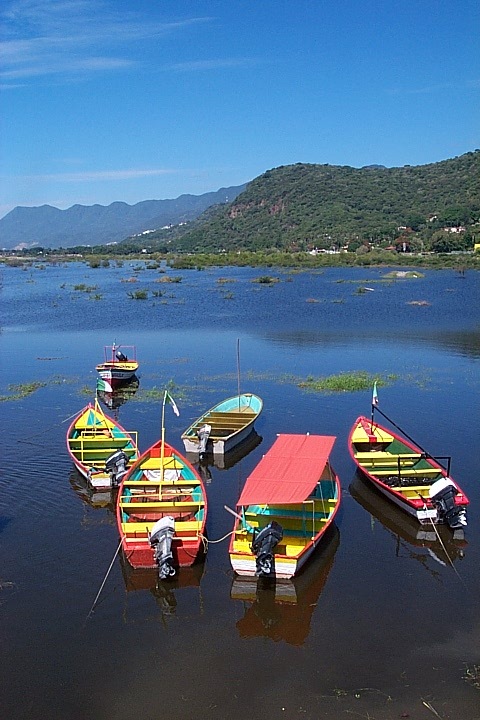 Before you book a flight, your first question might be, "Where is Lake Chapala, Mexico?" Take a look a both a Map of Mexico and Lake Chapala Map to get an idea of where you will be traveling. 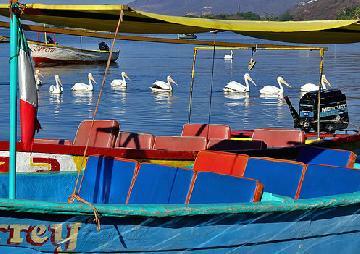 If you in live in or near any major city in the USA, getting to Ajijic & Lake Chapala via air travel is amazingly easy. Why? Well for starters, Guadalajara is Mexico’s second largest city. And flights to Guadalajara are literally arriving around the clock. Guadalajara is also a commercial hub for international business so Guadalajara flights are frequent and numerous. Guadalajara International Airport (GDL), lies just a 20 miles north of Lake Chapala & Ajijic. This makes for a short and a convenient 35 minute ride to the Lake. 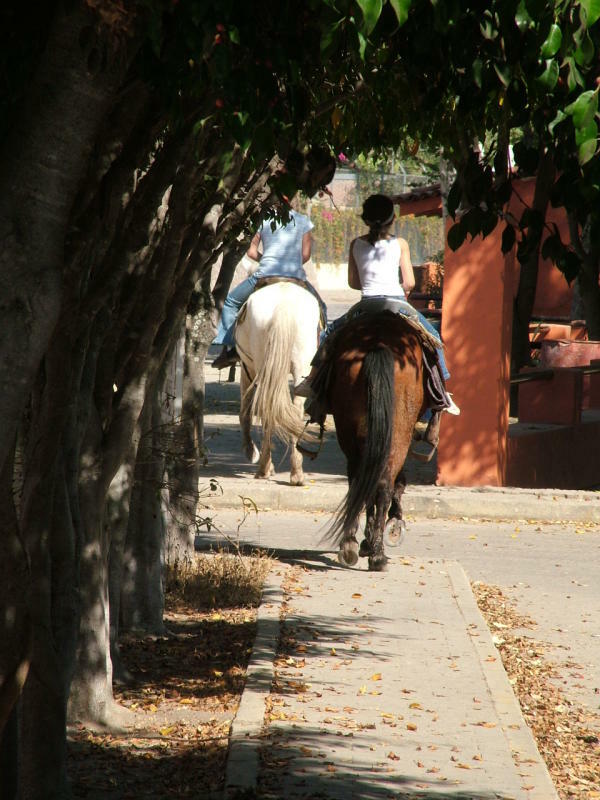 The city of Guadalajara is an impoetant Mexican city and there are many direct flights to Guadalajara everyday. Guadalajara also is in the Central Time Zone. So with a minimal time differential between your home city and Guadalajara you won’t have to worry about jet lag. The insect world has many beautiful creatures such as the diablito, this can be seen in all the shores of Lake Chapala. Several small towns make up the area surrounding the Lake. 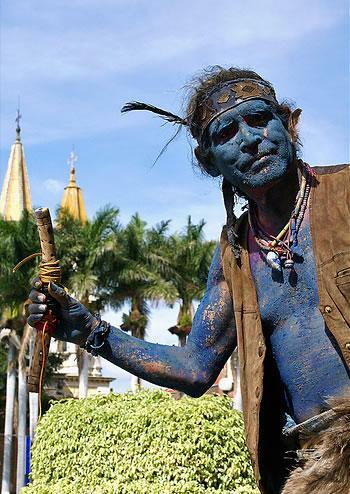 Ajijic, a town of about 5,000 people, is the area's centerpiece. Cobblestone streets and spectacular gardens hidden behind hand-carved wooden gates and colorful walls contribute to its charm. 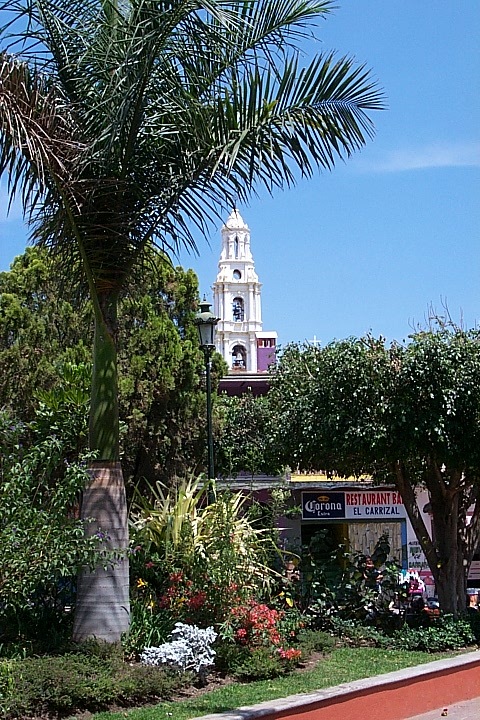 This is where most gringos choose to live and although it is a laid-back place, there's nightlife, lots of restaurants and adequate shopping (for serious shopping, Guadalajara is a short taxi or bus ride away). 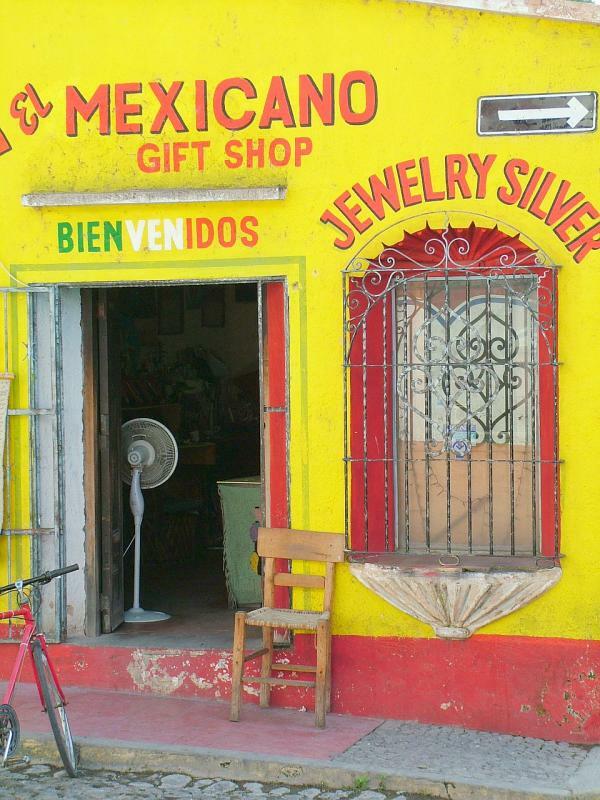 English is spoken, making adapting to this new home easier than in other parts of Mexico. 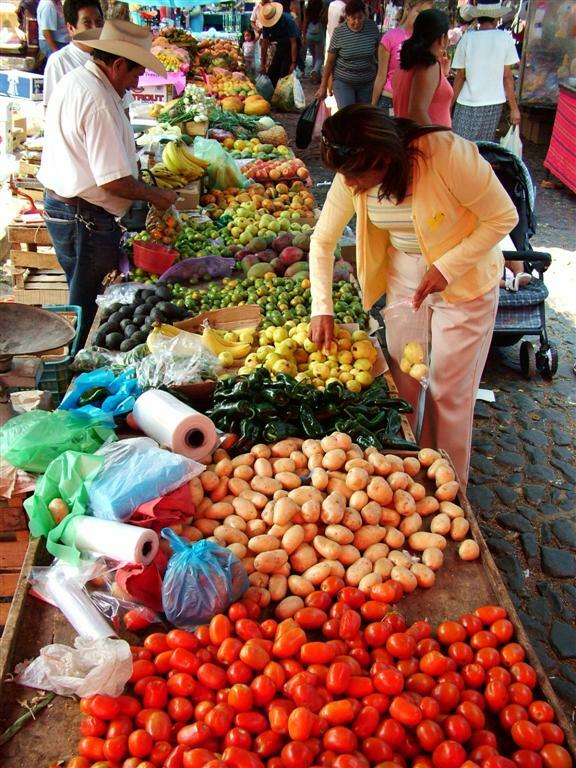 Some books and guides will tell you that it's possible to live on $600 a month in Mexico, and we suppose that is true if corners are cut and sacrifices are made. All these flowers are along the north shore Lake Chapala Mexico, 20 miles south of Guadalajara. Peek over the walls and through the cracks into private gardens, take a home tour sponsored by a local charity, walk the cobblestone streets, and look up to see the cascading flowers above your head. 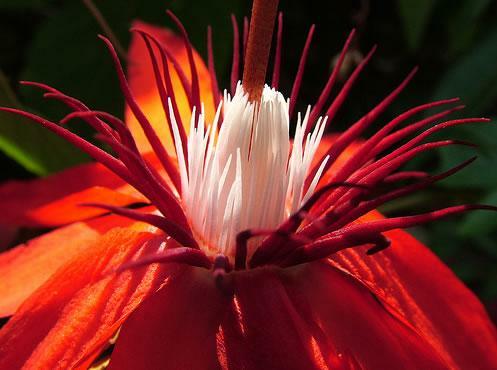 Lake Chapala is a feast for the eye and the nose for all of us who love flowers. At 16 de Septiembre 4 is Centro Artesanal La Vieja Posada, housed in part of a former tequila-making hacienda that dates back 146 years. You'll find selected arts and crafts from all over Mexico, as well as delicately hand-painted colonial-style furniture and cool cotton clothing, wholesale or retail. Northern Mexico. Known for its extreme weather conditions and characterized by its deserts, nature reserves and rugged mountain ranges. Some cities in the region are key industrial and business centers. Central Mexico. The Mexican heartland. Here you’ll find plenty of natural surroundings, picturesque towns full of life and color, and beautiful colonial cities, some of which have been declared World Heritage sites. Southern Mexico and the Gulf of Mexico. Lined with the shores of the Gulf of Mexico and the Pacific Ocean, this region offers an abundance of marshes, mangrove swamps and forests, all of which are ideal for ecotourism outings and exciting outdoor adventures. The Yucatan Peninsula. The gateway to the Mayan world. Here you can enjoy the white-sand beach resorts and the blue waters of the Caribbean Sea, where you can scuba dive along the world’s second largest coral reef. You can also swim in fresh water pools in submerged caverns, known as cenotes. The Pacific Coast. In this region, you’ll find cities and towns with rich cultural and culinary traditions, as well as some of the best beaches for water sports like surfing and fishing. The Baja California Peninsula. Territory that has been inhabited from time immemorial, in this region you can play golf on world-class courses, discover the underwater treasures of the Sea of Cortez, and witness the amazing migration of the Gray Whale.